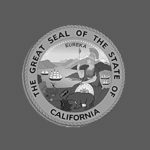 If you are a business owner in the State of California and you have individuals working for you, it is critical to know whether those individuals should be classified as independent contractors or employees. Why Does the Difference Matter? The Employment Development Department (EDD) will treat employees differently than independent contractors for payroll tax purposes. 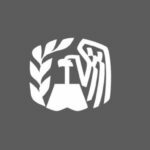 In fact, your entire approach to tax filing and payment will be different for employees than it will for independent contractors. • Any officer of a corporation. • Any worker who is an employee under the usual common law rules. • Any worker whose services are specifically covered by law. A common law employee is an individual who is hired by an employer to perform services and the employer has the right to exercise control over the manner and means by which the individual performs his or her services. The right to control, whether or not exercised, is the most important factor in determining the relationship. The right to discharge a worker at will and without cause is strong evidence of the right to control. 1. Whether or not the one performing the services is engaged in a separately established occupation or business. 2. The kind of occupation, with reference to whether, in the locality, the work is usually done under the direction of a principal without supervision. 3. The skill required in performing the services and accomplishing the desired result. 4. Whether the principal or the person providing the services supplies the instrumentalities, tools, and the place of work for the person doing the work. 5. The length of time for which the services are performed to determine whether the performance is an isolated event or continuous in nature. 6. The method of payment, whether by the time, a piece rate, or by the job. 7. Whether or not the work is part of the regular business of the principal, or whether the work is not within the regular business of the principal. 8. Whether or not the parties believe they are creating the relationship of employer and employee. 9. The extent of actual control exercised by the principal over the manner and means of performing the services. 10. Whether the principal is or is not engaged in a business enterprise or whether the services being performed are for the benefit or convenience of the principal as an individual. Another consideration relative to employment is whether or not the worker can make business decisions that would enable him or her to earn a profit or incur a financial loss. Investment of the worker’s time does not show a risk of loss. Independent contractors are not employees. They are engaged in a separately established, bona fi de business and are subject to profit or loss. They usually contract to perform specific tasks and have the right to control the way the work is to be accomplished. They have a substantial investment in their business and customarily perform services for more than one business. Generally speaking, they are anyone who is not an employee under the common law rules unless they are statutory employees. How Does This Apply To My Specific Area of Business? The EDD produces many Information Sheets that are applicable to specific areas of business. Physical Therapy Services and Residential Care Facilities are two examples. 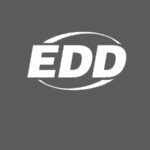 These information sheets will give you some understanding as to how the EDD has applied the employee vs. independent contractor test to your type of business. If you have questions about how you should be classifying the individuals who work for you, we can help. Contact a tax attorney at Disparte Tax Law today for a free consultation. What Happens if the EDD Reclassifies my Independent Contractors as Employees? 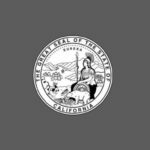 We are a tax controversy law firm serving clients in the greater Los Angeles area and throughout California. We zealously advocate on behalf of our clients before the IRS, EDD, SBOE and FTB.